Since it was announced days ago that Dragon Ball Z would be getting reprinted in Manga form in full remastered color in Japan this month fans asked if we would ever get an English version. The latest news is that the February 4th issue of Shonen Jump Magazine will be available online with the first chapter in the color Dragon Ball Z series. 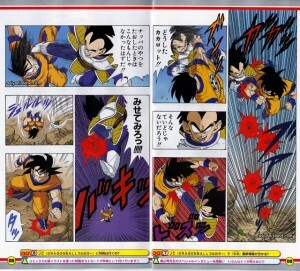 It’s awesome news for DBZ fans as Viz really need to get the series into reprint as soon as possible and jumping right into a weekly print means we could see a whole new set of 26 DBZ volumes in full color by March.